The field of structural firefighting is, has been, and will indefinitely be ever-changing as our needs as a society transition. What started as a progressive business move by insurance companies, transformed into a tax dollar funded public service. Initially fire departments responded to Fires now the reasons for response range from medical emergencies to hazardous material spills and natural disasters. Today fires account for less than five percent of calls responded to by firefighters. Approximately 90% of calls are non-fire related nationwide. The majority of the fire services time is spent in emergency medical response. However, if you take a closer look at these medical calls a large proportion of these calls could be considered non-emergency. A study conducted in 2010 by the RAND Corporation found that the 14 to 27% of ED visits are considered non-urgent. 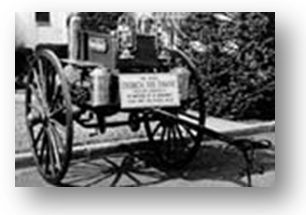 Sandy Fire Department was established in 1930’s when the city purchased a Ford Model-T chemical truck. The fire departments funds were composed almost entirely of donations, fund raising, and charges for ambulance transportation. In 1940 the city budgeted to purchase a fire truck. This truck was limited to city fires only so the volunteers raised enough money to purchase a 1941 Ford chassis on which they built their second fire truck. Both trucks were in service until 1973. In 1963 the original sandy station was built over a period of six years. The first career fire fighters were appointed to the district in July of 1972. Today sandy Fire department is a career/volunteer fire department. The staff consists of nine career firefighters three which are chiefs and three that are shift lieutenants. The volunteer staff is composed of 50 volunteers two of which are captains, and two which are lieutenants and 8 probationary firefighters. Alongside the main station there are two sub stations, all together these stations house 14 fire apparatuses. I entered the department’s volunteer academy in January of 2012 at 19 years old. Sandy Fire has provided the training and allowed me to be nationally certified and recognized as a structural and wildland firefighter and an Emergency Medical Technician. I have also had the opportunity to attend many outside trainings and courses. I have been responding as a firefighter and emergency medical responder for three years. I have also been officer on the volunteer board and I actively participate in business meetings. In my time with Sandy Fire I have seen many areas in which the emergency system is due for upgrades and improvement. I have noticed a particularly prominent issue that needs addressing on the medical side of firefighting. There is an abundant misuse of the 911 system and emergency departments. This fact is supported by a study conducted in 2010 by Annals of Emergency Medicine which suggests that frequent users comprise four and a half to eight percent of all ED patients and account for about 28 percent of the all visits. It has also been found by the RAND Corporation that $4.4 billion could be saved annually if all non-urgent emergency department visits were to take place in a doctor’s office or after-hours clinic. As stated above the field of Firefighting and EMS is constantly changing, progressing, and developing in order to address the ever changing needs of the many populations it serves. Most recently there has been a new branch of healthcare added to emergency medicine called Community Paramedicine. Community Paramedicine is serving to address the ever growing problem of misuse and overuse of the emergency medical system. This is a national issue and the most apparent solution is community paramedicine. Fire departments and ambulance services across the United States and Canada are creating the position of a community paramedic. The community paramedics job is to follow up and assist with these high need patients; they do so by making scheduled visits to check on these individuals asses their health, make sure they are taking all their medications, and consult future healthcare choices that are more applicable and tailored to the individual. These are just four of many programs across the nations that are finding success in a community paramedic program to address frequent fliers. Each is unique in their approach to community paramedicine; but all achieve the same outcomes of lowering unnecessary and or inappropriate use of emergency system. Click on the title of each program to take a closer look at their website. The MedStar program was implemented in Fort Worth, TX. in 2009. There was a definite need in the community with 21 individuals accounting for over 2,000 ER visits in one year; the estimated total cost of those ER visits was $962,429. John Farris is the Community Paramedic assigned to monitoring these individuals health and helping them meet their basic needs whether that means finding alternative resources for them or just educating them on preventative health actions; his job also entails some basic counseling for the individuals at need. So far 911 calls by individuals entered in the program have been reduced by 86.2%; resulting in a estimated savings of $3.3 million in Healthcare Expenditure. EPIC was established in Winnipeg, Manitoba in 2009. They assessed the top 40 callers and determined that 25% had chronic medical problems and the remaining 75% were calling for mental health or social issues. It was concluded that there was a need for community paramedicine in the area. They use a software system called Firewatch; this program allows for real time surveillance and monitoring; and an individual can entered into the system electronically on a 911 response. Paramedics in this program receive additional training in social determinants of health, illness prevention, health promotion, and advanced wound care. The medics also spend time doing clinical rotation in primary care settings; giving them an expanded knowledge base of the field and its practices. San Diego Fire and Rescue identifies their frequent fliers by a criterion. If an individual calls more than 50 times in a period of 12 months they are automatically entered into the system. They also use a software called Street Sense; which uses algorithms to sift through patient care reports to identify candidates for the system. The software automatically notifies the case worker and or community paramedic any time an individual in the system activates 911, so they can respond alongside emergency crews. James Dunford, M.D. is the medical director in charge of the program. The need for the program was determined when in 2013 when 130 callers accounted for 5000 emergency calls. McKinney, Texas Fire Department serves 150,000 people in 60 square miles. The population is predominately elderly with chronic disease; therefore their frequent fliers are calling for more primary care reasons. The unique aspect of McKinney Fire is that they have two medical directors; one for emergency response and one for community healthcare. They are continuously developing advanced care protocols, and directly interacting with advanced practice paramedics. This is a proactive system that promotes communication and efficiency across the different fields of medicine. My fire department currently does not have the budget to create this new position to serve our community though the need definitely exists; so for now I am an advocate of a community paramedic position at Sandy Fire. This entails discussing with chiefs and the board that the need for this position is growing and is we will need to look at budgeting for in the near future. As a volunteer I am also capable of donating my time to serve as an intermediate for the time being. I have access to the highest need members of our community. I can seek alternative resources for them and check in on them occasionally in an attempt to take some stress off our call numbers and the surrounding ambulance services and emergency departments. This in turn saves tax dollars and ultimately serves to lower the costs of emergency medical care. Perhaps if the effects of this type of work can be correlated to a lower call ratio the department will consider looking further into and taking more seriously the role of a community paramedic and all it has to offer the community. plus I have an extensive background in social determinants of health, illness prevention, and health promotion being a health science major. I have also taken courses is geriatrics and chronic and preventable disease. With this background I intend to attempt to address the population at need in my district. I will serve as an intermediate and advocate for these individuals hopefully reducing their use of the 911 system. With any luck I will find other members of my department who are just as interested in this project to join me. Volunteer firefighting came about because there was a need in the community and lack of funding. Why can't volunteer community paramedcine come about the same way? Perhaps this approach can serve as a model for other smaller departments facing the same issues and lack of funding.